Totalcar Magazine - Features - Blinding someone with a laser beam? I was driving home one evening when I saw a strange light zigzagging in front of me. Someone was clearly having a blast pointing a laser-pointer at cars, buses, and unsuspecting pedestrians. At first the red dot was flashing on the road ahead of me, then in my car. Then it hit my eye. Screw you, idiot. The laser was only pointed at my retina for a second, but it was enough to blind me. Thankfully, it hadn’t occurred to the local jedi doing this that given the misty weather the dewdrops would probably gleam in the light of the laser and give away his hiding place. And how, I even recorded him in action. - The guy you just blinded with a laser pointer, mate. - Laser pointer? What laser pointer? – he asked, acting all surprised. - The laser pointer in your hand I just made a recording of. - You’d better stop this, it’s a freaking stupid idea to blind the drivers. Again, silence. I broke it. - So, would you like me to call the police? - Gosh, no, no, sorry, we’ve stopped already, just don’t call anyone! 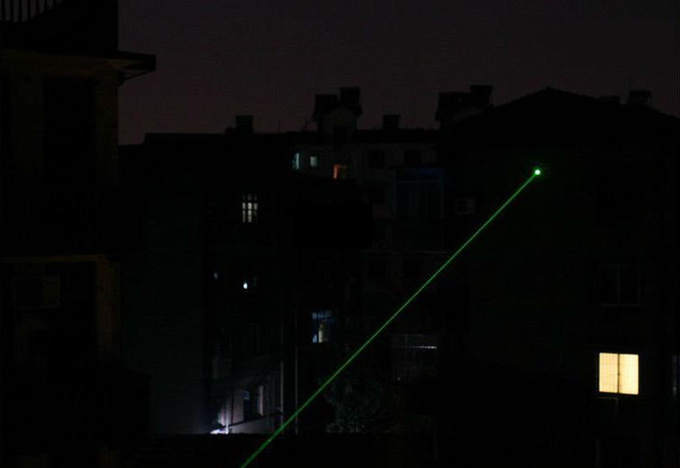 Pointing a laser beam at someone’s eye is definitely not a good idea. A high performance laser pointer can cause irreversible vision impairment but you can do more than enough harm using a weaker one, too, just by pointing the thing at someone at the wrong moment. Blinding a pedestrian or a driver is bad enough, but some thugs take it even further trying to blind the pilots of planes and helicopters. The authorities don’t appreciate that kind of fun, believe me. 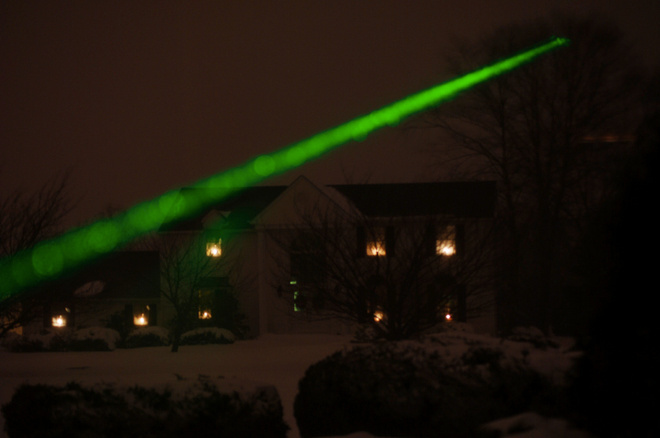 And should someone go as far as pointing a laser beam at a police helicopter, they could easily end up like this. Modern equipment do not only locate where the laser beam is coming from, the images of the on-board infrared cameras make identifying the delinquent a two-step, even in a crowd of people . Yep, the guy with his head shaven bald, wearing a T-shirt, standing opposite the arriving police officer. And yes, he threw the pointer under the fence. 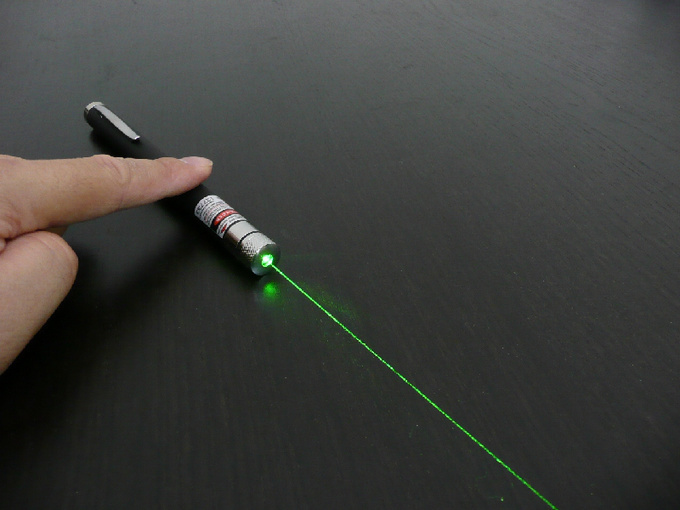 In some places, people fooling around with a laser pointer could actually end up being arrested and fined. But wouldn’t it be great if instead of being convinced to quit by possible consequences people realized just how harmful this hobby is? I’m not going to share the video I made for the same reason I didn’t call the police. I don’t believe in calling the police on a silly teenage prankster just as I don’t believe in public shaming. I’m positive he learned a lesson. And if not, I’ll have no qualms about calling the police next time I catch him doing the same. Luckily, I live nearby. 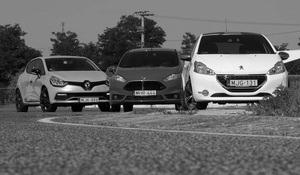 Let's find out which one the better hot hatch is. Let's do it with the help of a real professional WTCC driver.